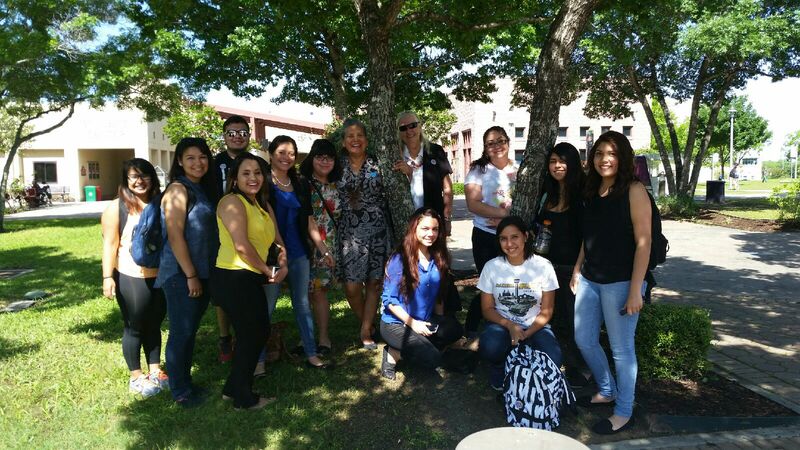 Professor Gonzalez with Palo Alto College Social Work students. Palo Alto’s Social Work Program teaches the importance of building strong communities. Adjunct Professor Barbara A. Renaud Gonzalez gives her students an overview of Social Work with an emphasis on the clinical approach, focusing on the treatment and prevention of issues, including mental illness, emotional disturbances and other behavioral disturbances, such as substance abuse. Gonzalez sees a need for student and professional social workers to be able to share with each other through technology. She encourages her students to use social media and think creatively to reach their fullest potential. Students can also choose from a related area of study, including Criminal Justice, Economics or Psychology for their elective course. Palo Alto has transfer agreements with Texas State University and the Worden School of Social Service at Our Lady of the Lake University, where students can earn his or her bachelor’s and master’s in Social Work. “I think in some ways the South Side [of San Antonio] has been neglected, but it has also stood up for itself,” said Gonzalez. Gonzalez said several opportunities exist for growth in the South Side community, such as improvements on mass transportation or agricultural and environmental programs. Students pursuing a degree in Social Work don’t have to stay in San Antonio or Texas during his or her professional career. Organizations like The United Nations and The Red Cross provide opportunities to travel and help others internationally. “In this field, you will come across people of different religions so this class [World Religion] will help you be more open-minded and give a better understanding,” said Castellanos. $41,380 for mental health and substance abuse social workers. $42,120 for child, family and school social workers. $51,930 for healthcare social workers. $59,100 for all other social workers. We would also welcome your students to consider the social work program at New Mexico Highlands University. It’s the first SOWK program in NM. Opportunitues to study in Albuquerque for an urban experience or on our main campus in Las Vegas NM (for a more rural experience). Very affordable! Excellent faculties, and a Hispanic Serving Institution. Contact Associate Dean Cristina Duran for more info. Congratulations for your commitment to serve. You have a great prof there at Palo Alto.